Lifestyle Matters, particularly eating habits and physical activity, have proven over many years of research to have positive benefits in improving metabolic and cardiac health. Factor4 Lifestyles translates evidence-based dietary advice and other behavioral modifications, helping individuals adopt lifestyle changes to prevent, manage and reverse risks for obesity, type-2 diabetes and cardiovascular disease (CVD). Effective dietary advice must be optimized—considering the individual’s specific medical conditions, food preferences and lifestyle factors—to facilitate maximum adherence and the best chance of long-term success. 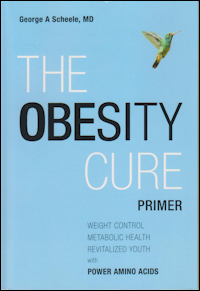 This scientifically-supported premise makes Factor4 Lifestyles different from other lifestyle programs designed to reduce and manage obesity, metabolic health and cardiovascular risk. 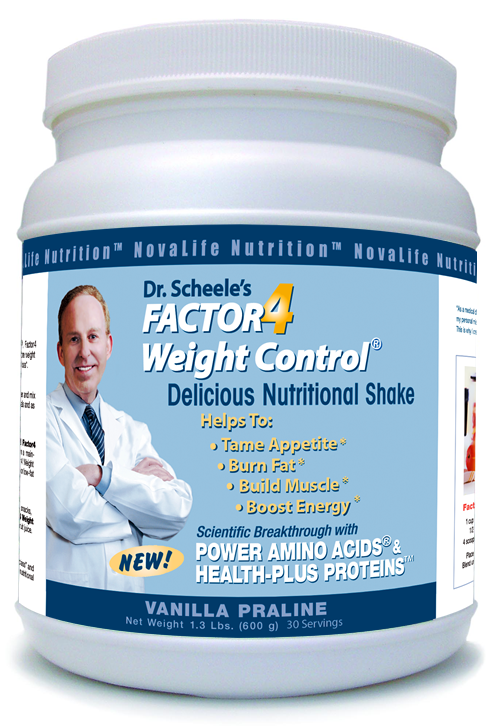 Factor4 is built on innovative technology that suppresses appetite and restores metabolism using natural feedback mechanisms related to Power Amino Acids®. With patent protection and a unique proprietary formula Factor4 tames appetite and balances metabolism by correcting deficiencies in positive-charged amino acids, proteins and metabolic pathways. Nutritional guidelines for managing body weight, cholesterol and blood pressure, coupled with original dietary studies by world-renowned nutrition, weight loss and diabetes experts have been used to formulate our Factor4 Lifestyles Approach. Optimized nutritional plans, coupled with guidelines and the latest research findings are provided to guide dietary intake. Lifestyle coaching and support tools help encourage compliance and maximize every individual’s ability to successfully improve their metabolic health. 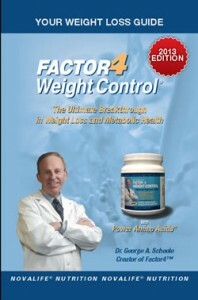 Factor4 Lifestyles base their dietary modifications on five key elements scientifically proven to decrease and manage metabolic risk factors: (i) caloric reduction, (ii) avoidance of excess saturated fat (iii) restriction of refined sugars and processed carbohydrates, (iv) restriction of dietary salt and (v) the essential role of exercise. 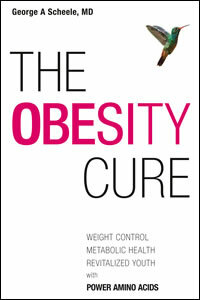 Excess body fat increases body weight and cardiovascular risk. Direct comparison of diets via randomized trials indicates that reduction of metabolic risk factors is generally proportional to dietary adherence and weight loss, regardless of the diet type. Successful dietary strategies to create weight loss utilize an appropriate mix of fats, proteins and carbohydrates to have beneficial effects on metabolic disease risk factors, including obesity and type 2 diabetes. Factor4 Lifestyles provide calorie-appropriate eating plans suited to the individual’s dietary preferences to maximize adherence while achieving optimal weight loss results. Too much saturated fat increases heart disease risk by increasing unhealthy LDL-Cholesterol in the blood. Research has proven that heart disease risk factors are reduced by following a diet that replaces saturated fat (red meat) with polyunsaturated fat (fish and plant-based foods). Factor4 Lifestyle dietary plans avoid excess dietary saturated fat in favor of increased dietary unsaturated fat, which is particularly important in combatting overweight disorders, high LDL levels and cardiovascular disease. Diets higher in protein and lower in refined carbohydrates have been associated with risk factor reduction for metabolic and cardiovascular disease, including increasing healthy HDL-Cholesterol and reducing blood pressure. Such diets have also been shown to reverse abnormalities associated with metabolic syndrome, particularly the lipid profiles that promote atherosclerosis associated with insulin resistance and type-2 diabetes. Consumption of whole grains has been associated with reduced risk of CVD and type-2 diabetes in large observational cohort studies. Factor4 Lifestyle dietary plans manage carbohydrate intake while incorporating an appropriate balance of carbohydrates, fats and proteins, with particular attention to metabolic risk factors. For individuals with high blood pressure, sodium restriction is recommended due to the consistent evidence from large observational studies and randomized trials that salt restriction lowers blood pressure. The benefits of physical activity are consistently associated with good metabolic and cardiovascular health. Numerous studies have shown that regular exercise at moderate intensity raises healthy HDL-Cholesterol, lowers total triglycerides, and decreases blood pressure and resting heart rate. 1. Angermayr L, Melchart D, Linde K., Multifactorial lifestyle interventions in the primary and secondary prevention of cardiovascular disease and type 2 diabetes mellitus–a systematic review of randomized controlled trials. Ann Behav Med. 2010 Aug;40(1):49–64. 2. Sacks FM, Bray GA, Carey VJ, et al. 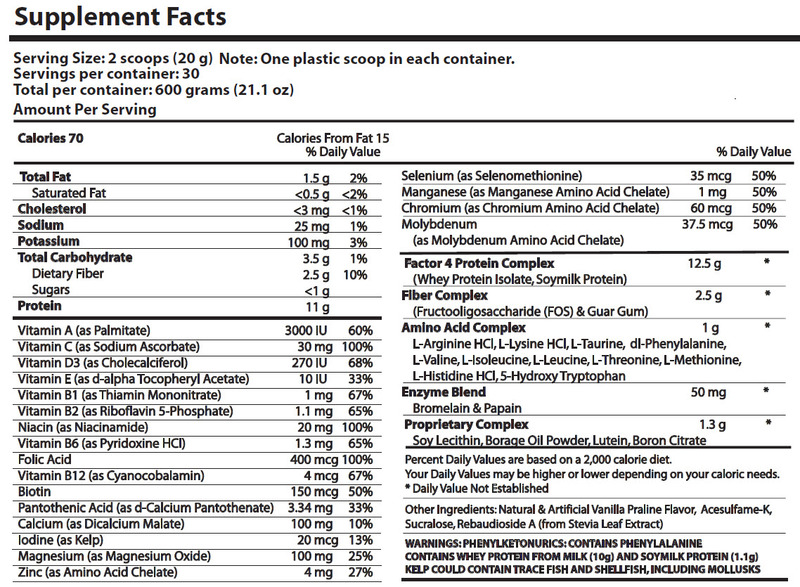 Comparison of weight-loss diets with different compositions of fat, protein, and carbohydrates. N Engl J Med. 2009;360:859–873. 3. Siri-Tarino PW, Sun Q, Hu FB, Krauss RM. Saturated fatty acids and risk of coronary heart disease: modulation by replacement nutrients. Curr Atheroscler Rep. 2010;12:384–390. 4. Dansinger ML, Gleason JA, Griffith JL, Selker HP, Schaefer EJ. Comparison of the Atkins, Ornish, Weight Watchers, and Zone diets for weight loss and heart disease risk reduction: a randomized trial. JAMA. 2005;293:43–53. 1Adapted from and Inspired by Lifestyle Matters published on http://www.bostonheartdiagnostics.com by Michael Dansinger, M. D.
I’m very excited about this diet!!! Ive been on it only one week and I feel like I’m losing weight already. I’m not weighing myself for a while. It has reduced my appetite and cravings. Can’t wait to see what happens next!!! THANKS!!!!! Thats Awesome Terri, keep letting us know your progress as Factor4 works!